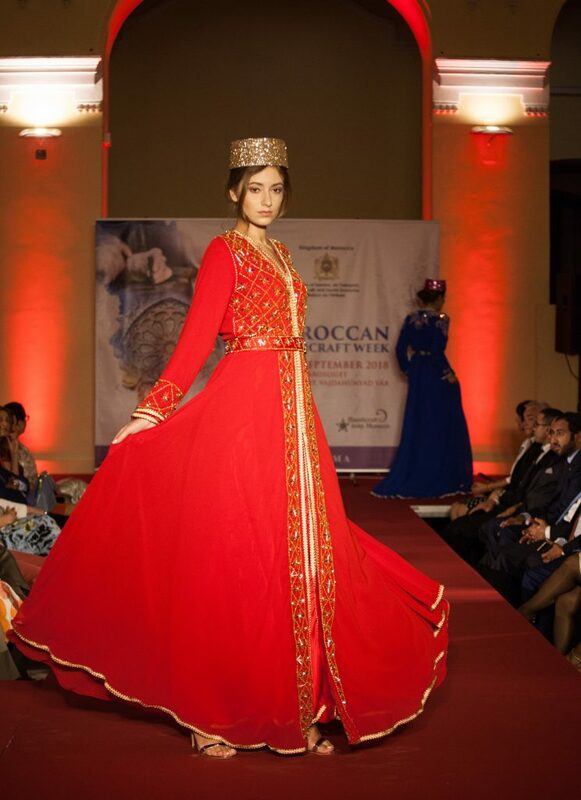 Last week, Andrew and I were honoured to be invited to a reception and a Moroccan fashion show by The Ambassador of the Kingdom of Morocco, H.E. Mrs. Karima Kabbaj. 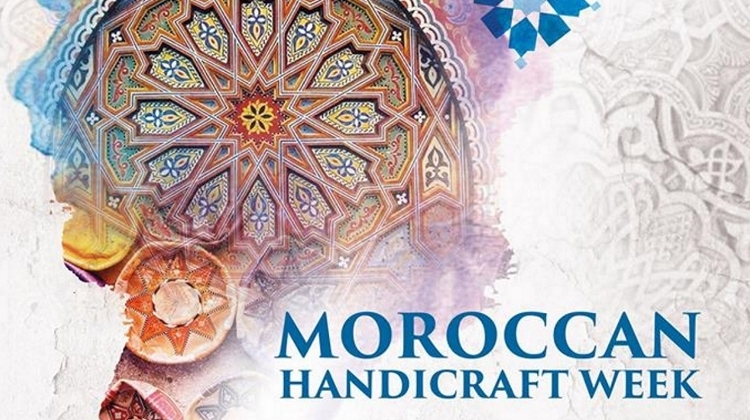 This event was in celebration of Moroccan Handicraft Week. 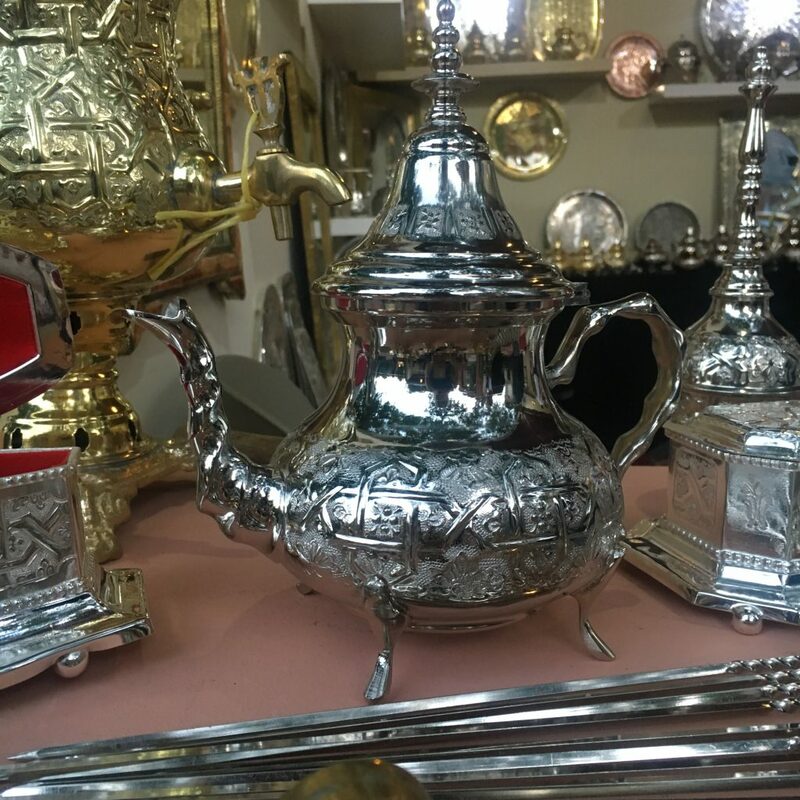 We have never been to Morocco, so we were thrilled to catch a glimpse of it here in Budapest. 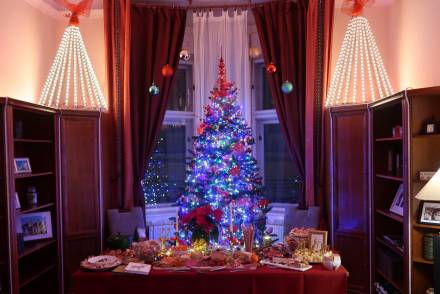 The event is held outside on the grounds of the Vajdahunyad Castle in City Park. And with the gorgeous weather we’ve had all summer, this is the perfect location to enjoy the week. 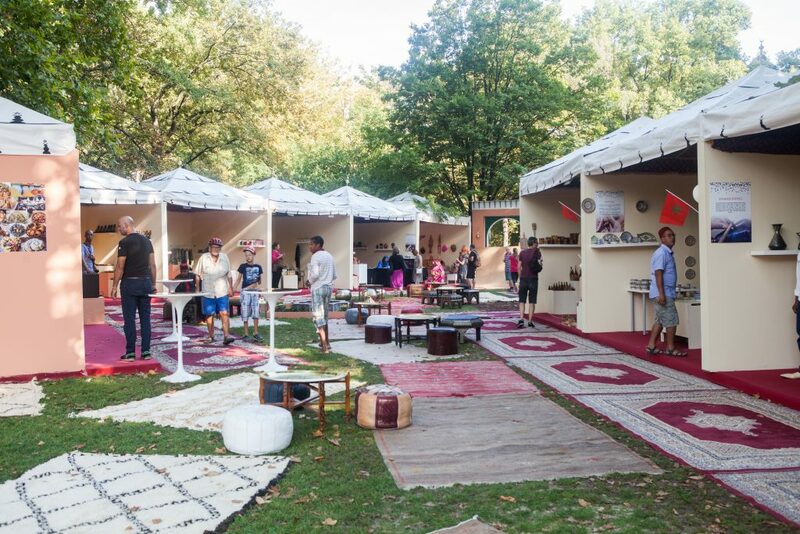 The 10-day event hosts more than 30 artisans and artists. 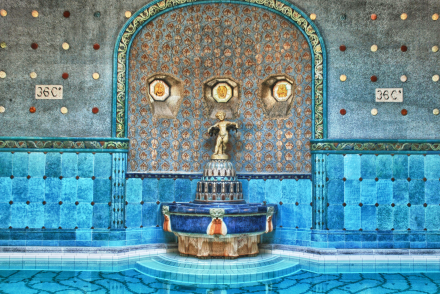 Most of the artists are still using their traditional methods to create goods. Andrew and I attended on opening night that started with a ribbon cutting ceremony and tour. If you follow either one of us on Instagram, likely you watched it as part of our Instagram Stories. There were traditional dancers and loud drums to kick off the festivities, along with a ribbon cutting ceremony. We then set off to explore the various artisan’s booths and handicrafts. 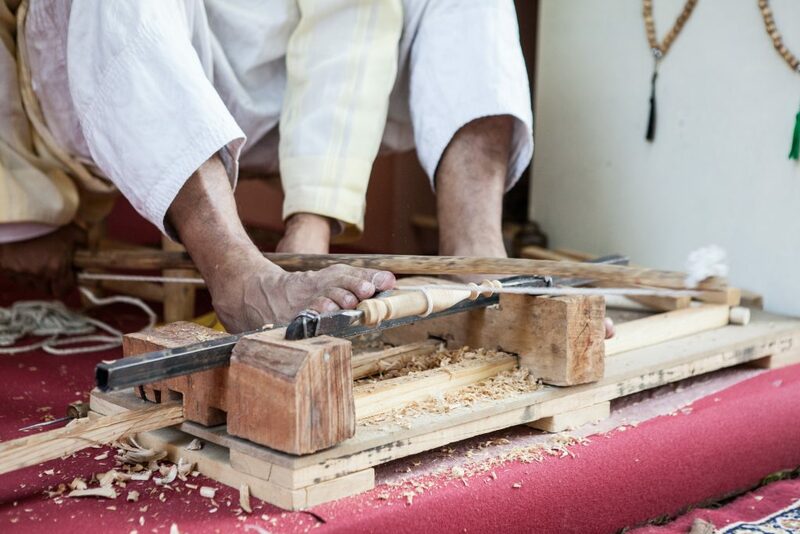 I particularly loved the wood carver. His pieces were amazing and smelled so good! It is so interesting to see how the incredible works were made. The level of detail and time taken for each piece was breathtaking. 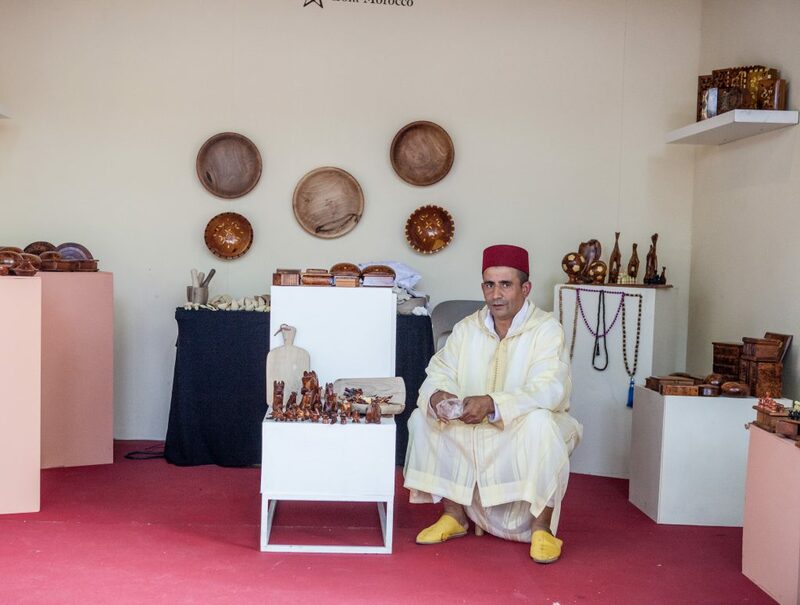 Andrew and I both love the colours and shapes seen repeated throughout the different types of Moroccan handicrafts. 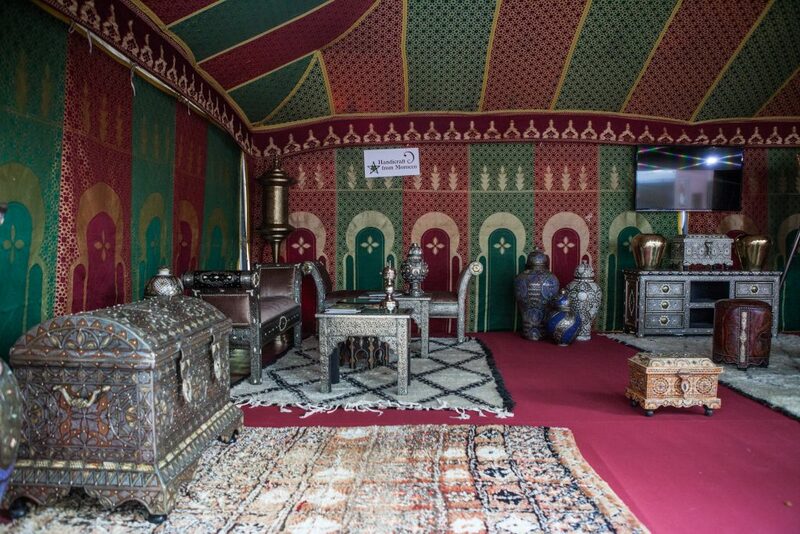 You could even sample specialities of Moroccan cuisine, and take part in workshops of various Moroccan traditions. 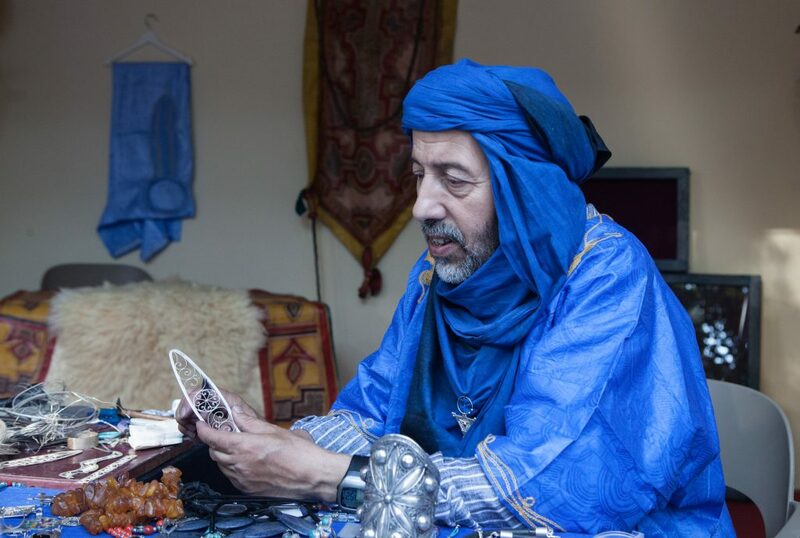 After we finished our tour outside, we moved inside to watch a Kaftan Fashion Show. I LOVED this show. Growing up, my mother had a green paisley kaftan that she would wear on Christmas Eve. I remember it having rich green and purple colours and sparkling with gold jewels and sequins. These dresses reminded me so vividly of that dress and how much I coveted it – even as a child. I desperately want one. In fact, I would wear all of them. I begged and pleaded with my husband, but unfortunately, they are slightly out of our budget. To me these dresses are the perfect blend of feminine glitter – but comfortable enough to allow you to eat dinner in them. 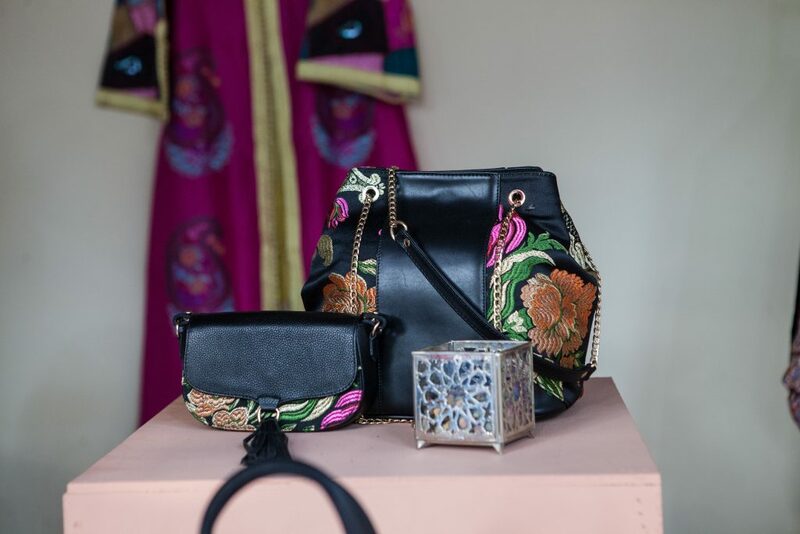 😉 Congratulations to Ms Sara Zerrouali for her incredible designs. Sorry for not getting this post up sooner, but I definitely recommend you head to City Park today to go see it. And if not this year, then put it on your calendar for next year! 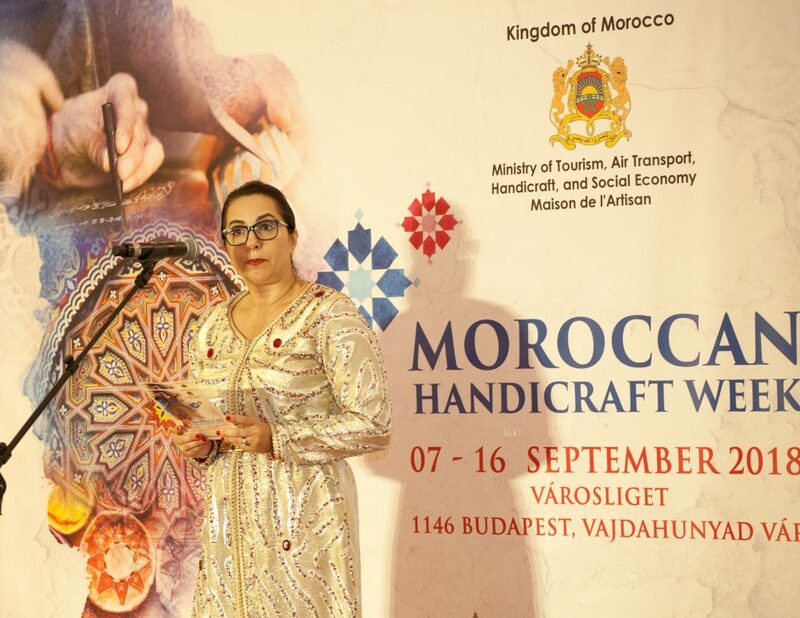 This year’s Moroccan Handicraft Week opened September 7th and runs until today, September 16, at the Vajdahunyad Castle in Városliget, Budapest. 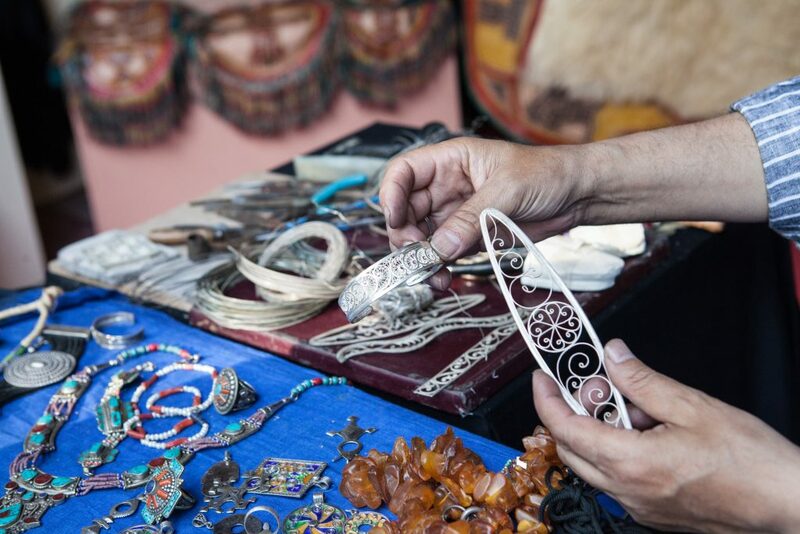 The event aims to familiarize visitors with incredible Moroccan crafts, jewelry, pottery, oils, and furniture, and showcases the richness of Moroccan culture. 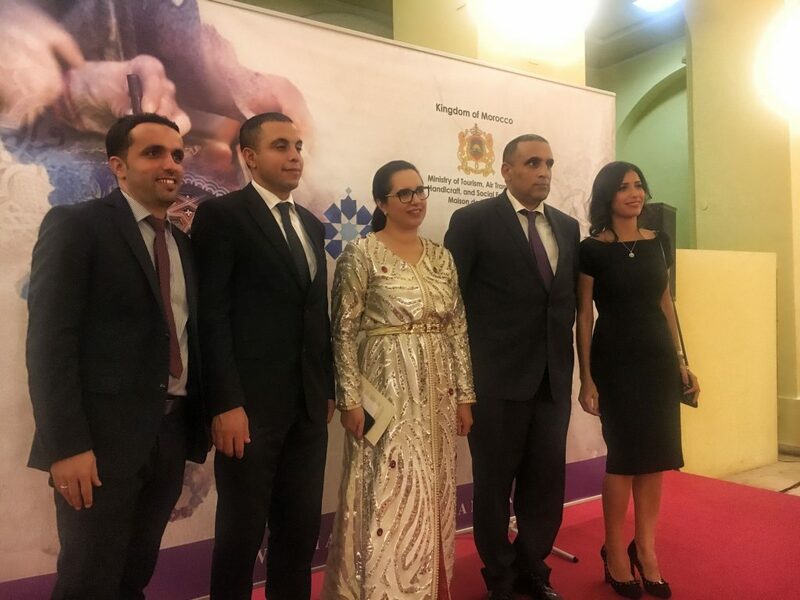 Many thanks again to to our friend, Zara, along with The Kingdom of Moroccoʼs Embassy in Hungary/ Le Maroc en Hongrie/ Marokkó Magyarországon. Why call this 44 Letters? Because there are 44 letters in the Hungarian alphabet. 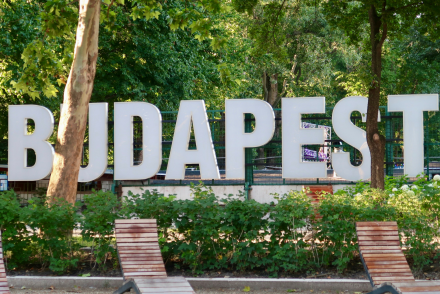 Doesn’t learning Hungarian sound scary and confusing? Well that’s because it is. 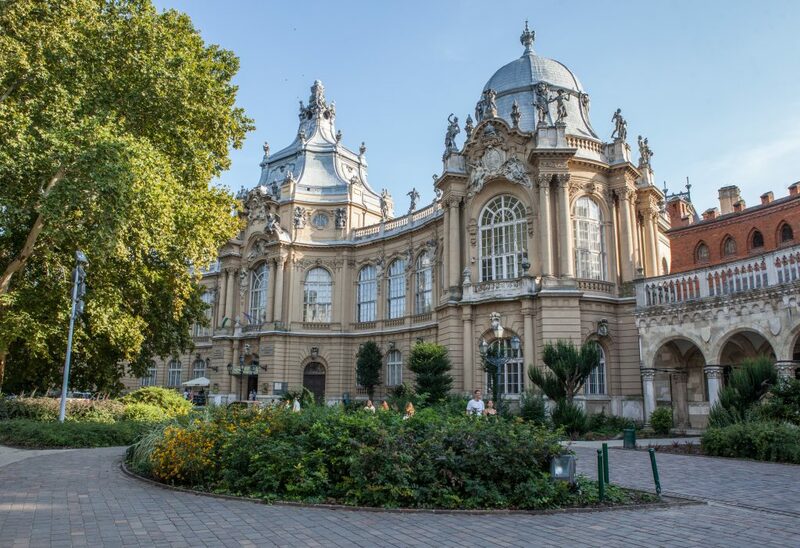 Much like this move to Budapest! Furthermore, this blog does NOT accept forms of cash advertising, sponsorship, paid insertions or other forms of compensation unless explicitly stated.